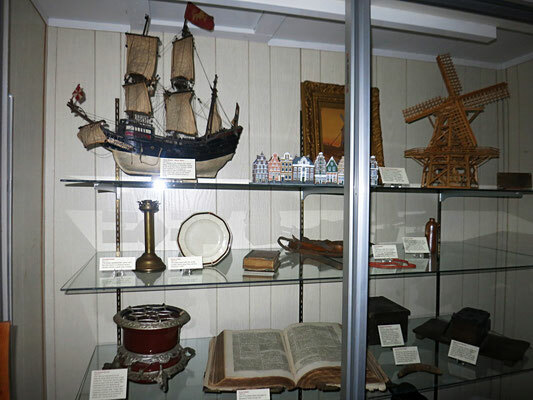 DUTCH ALCOVE of the CHURCH ROOM. 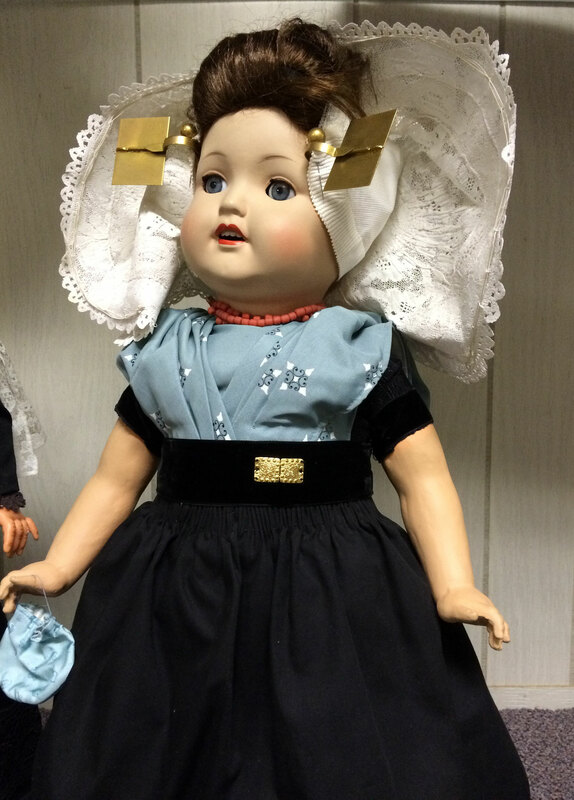 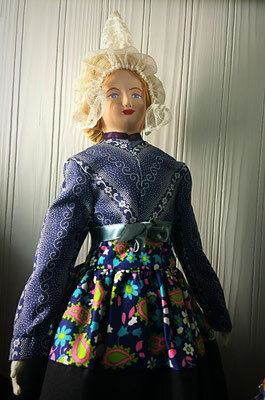 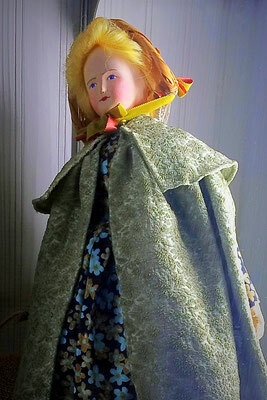 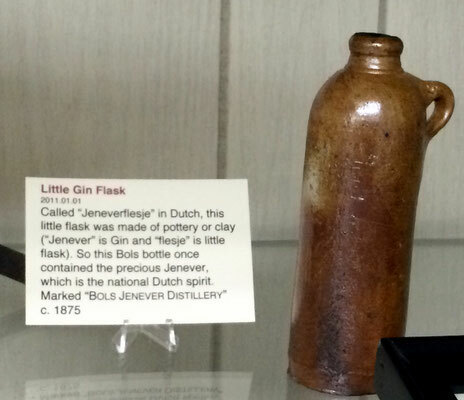 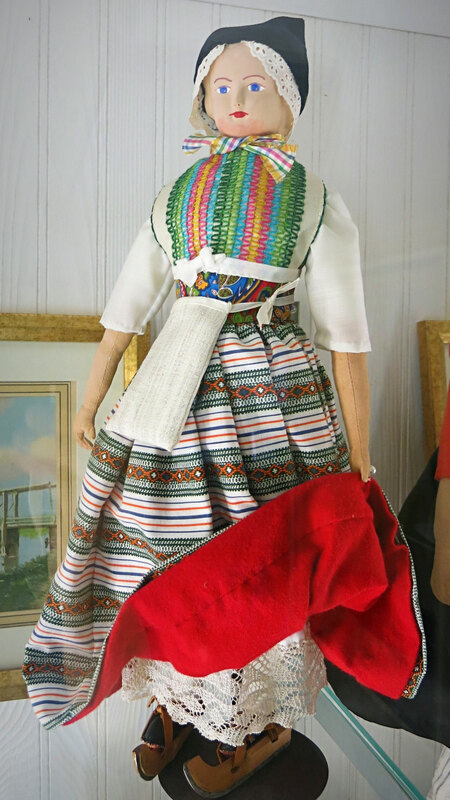 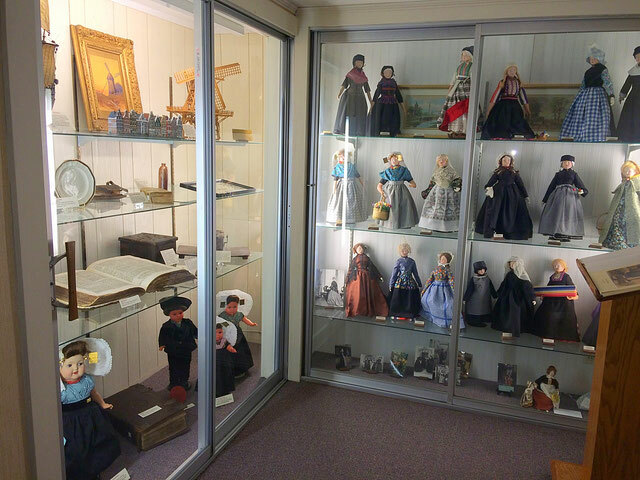 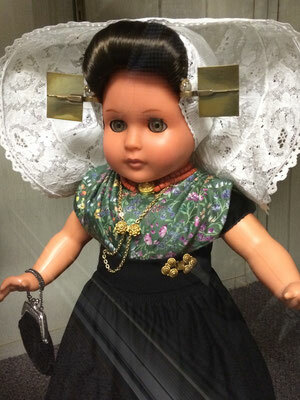 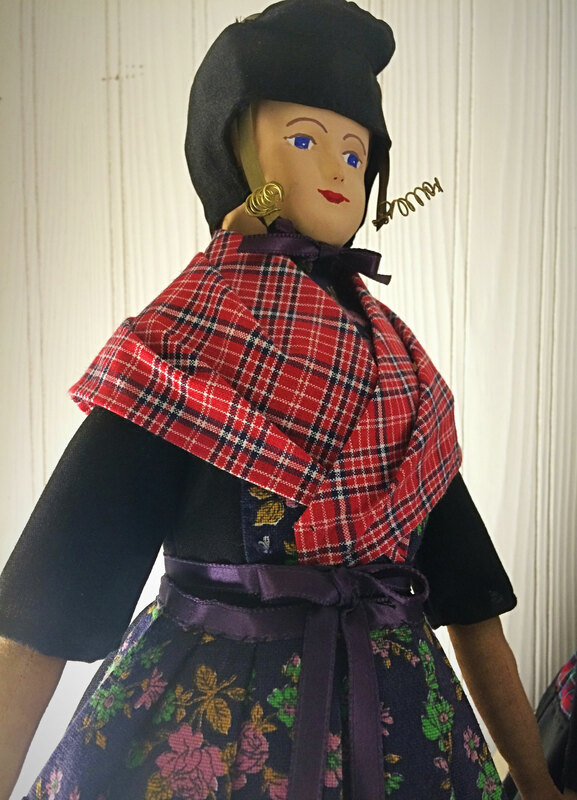 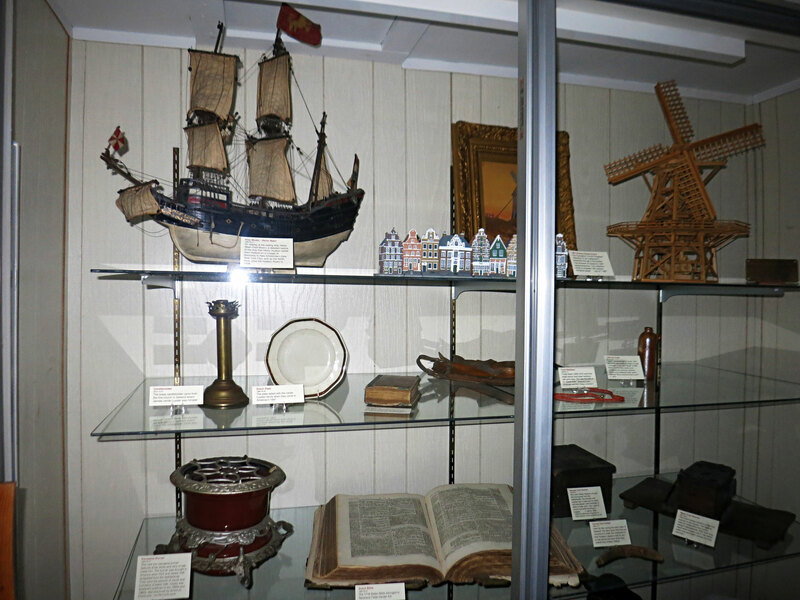 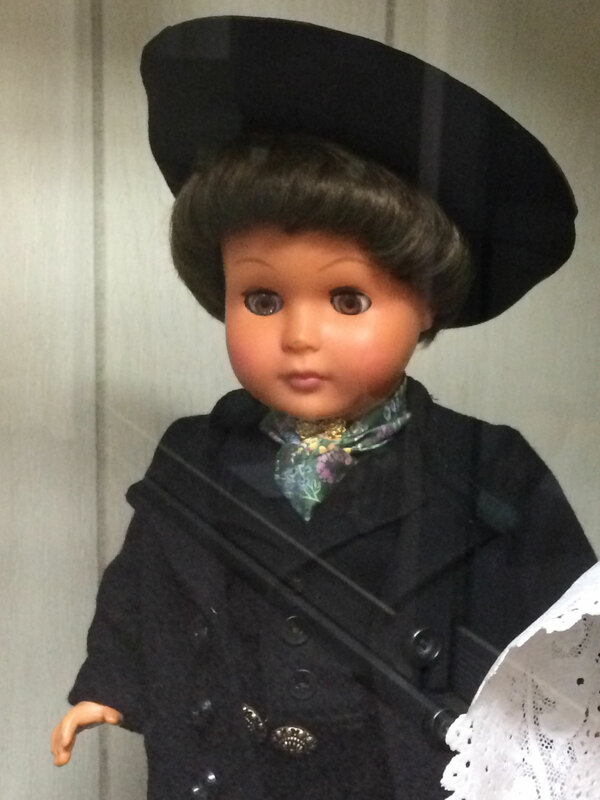 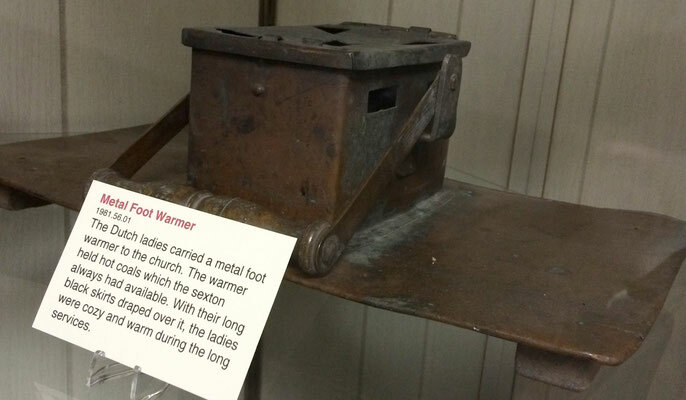 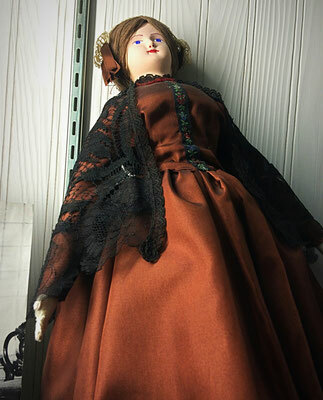 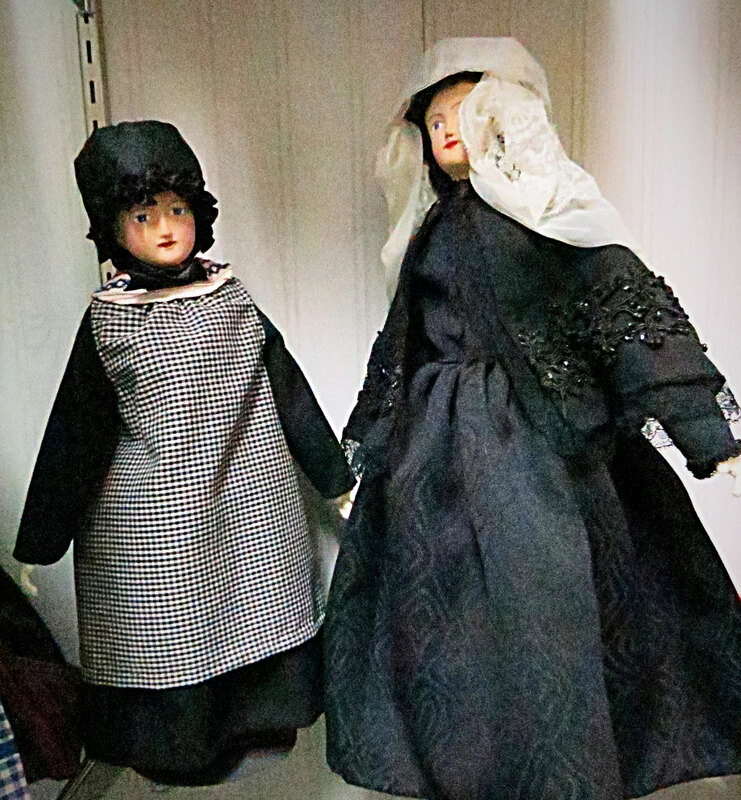 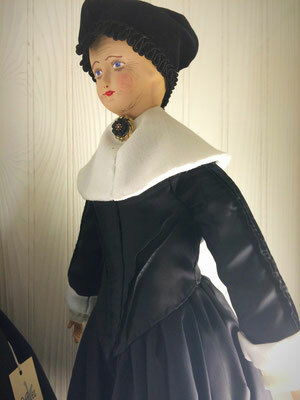 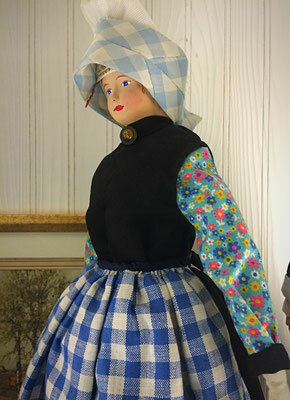 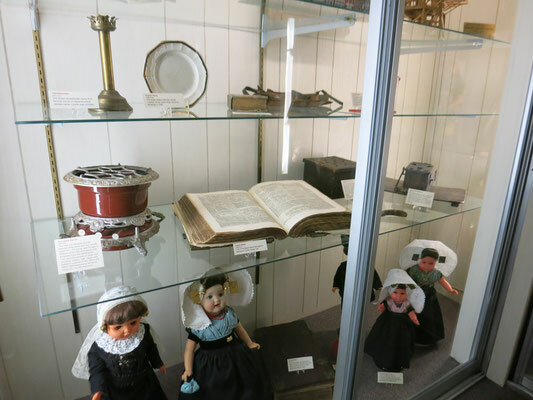 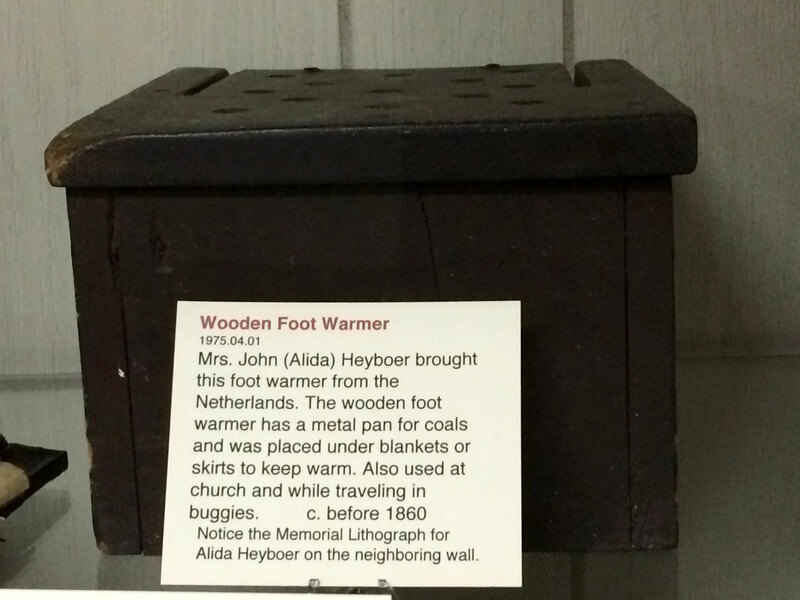 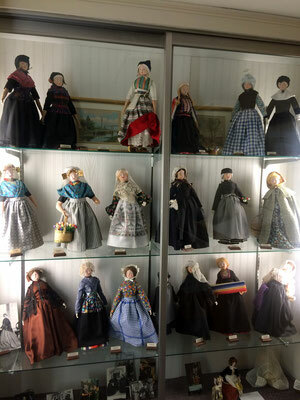 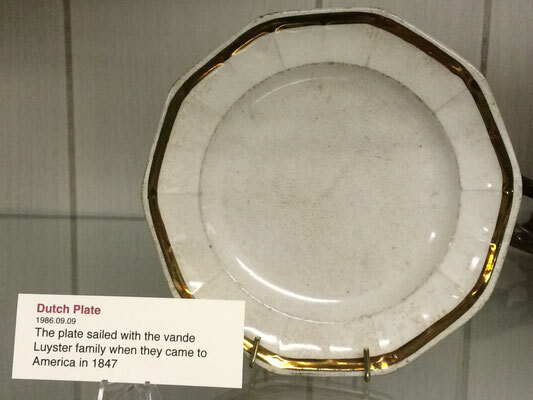 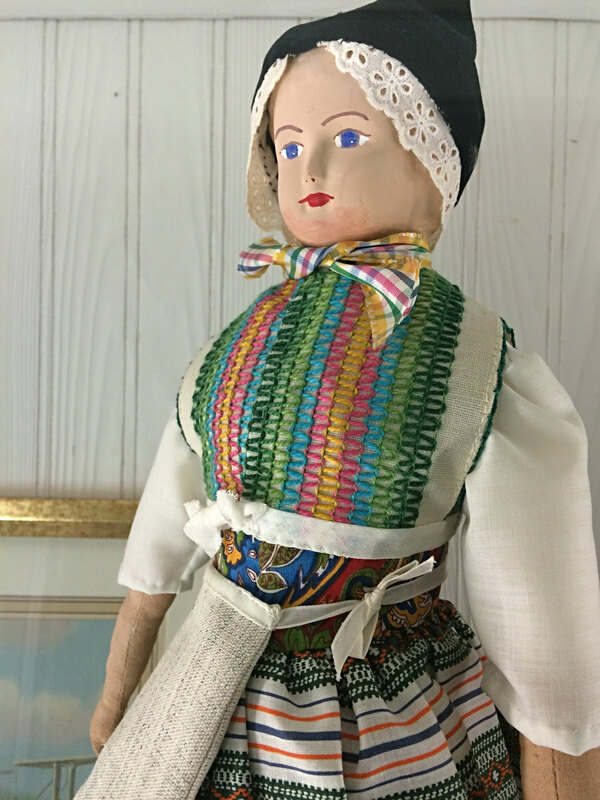 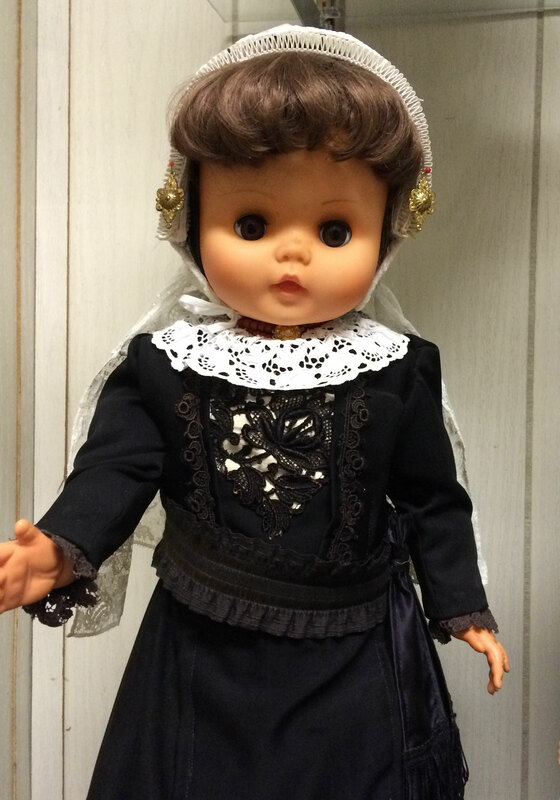 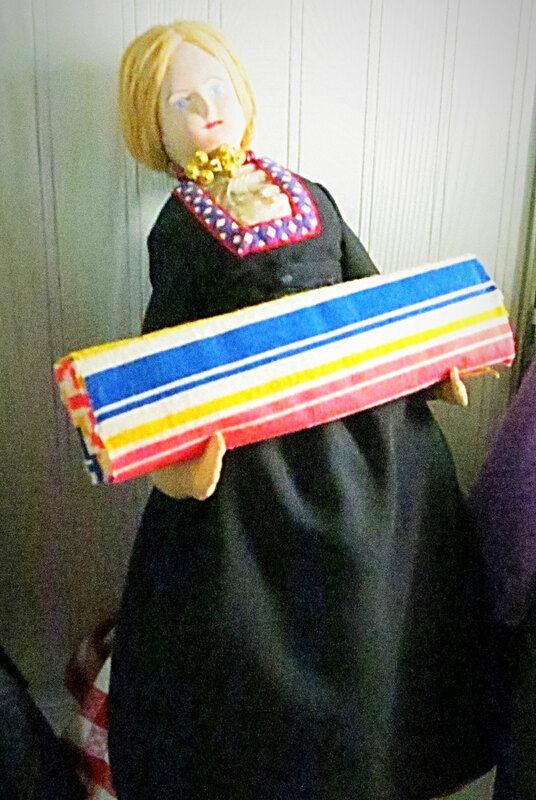 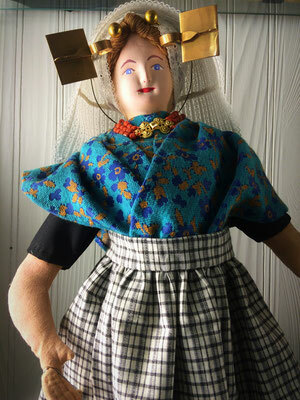 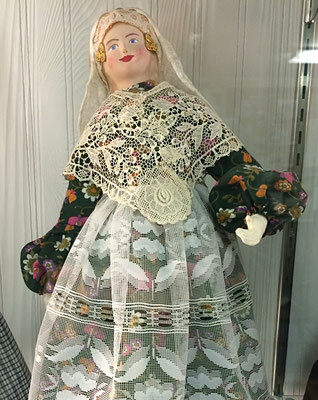 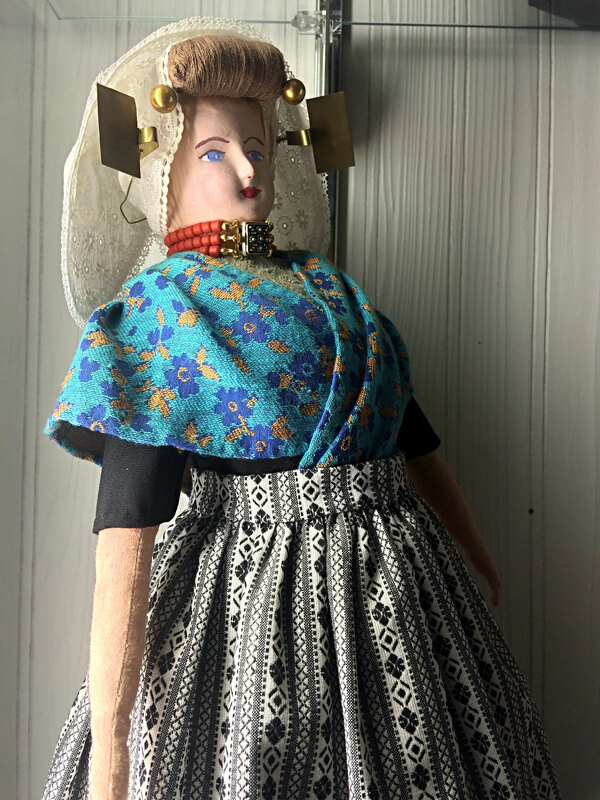 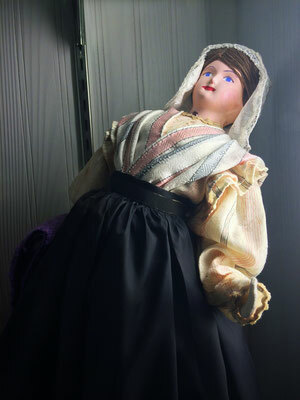 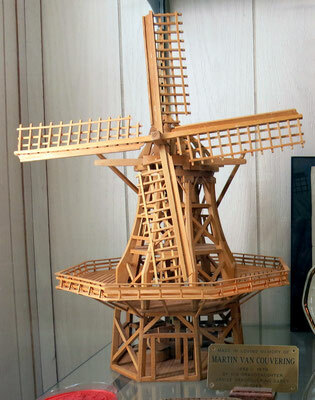 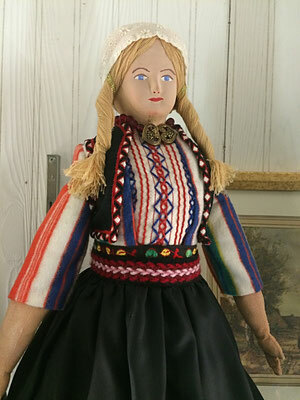 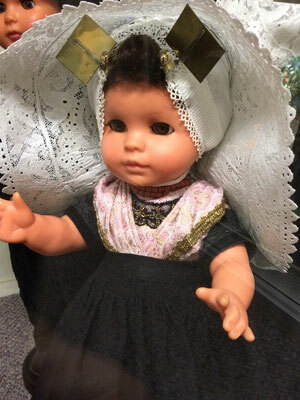 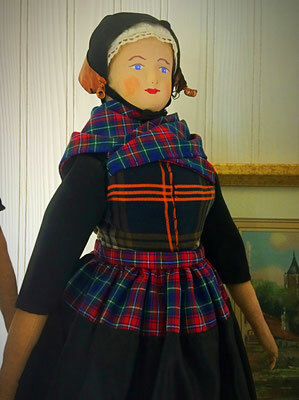 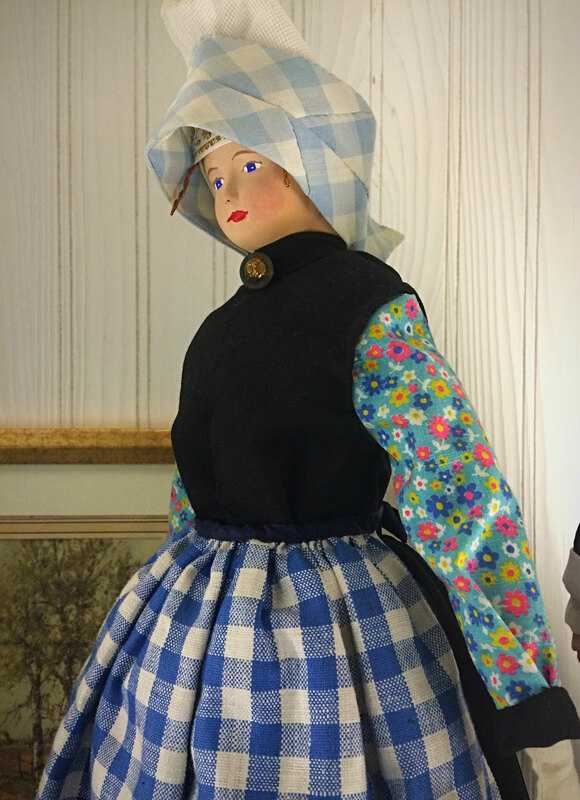 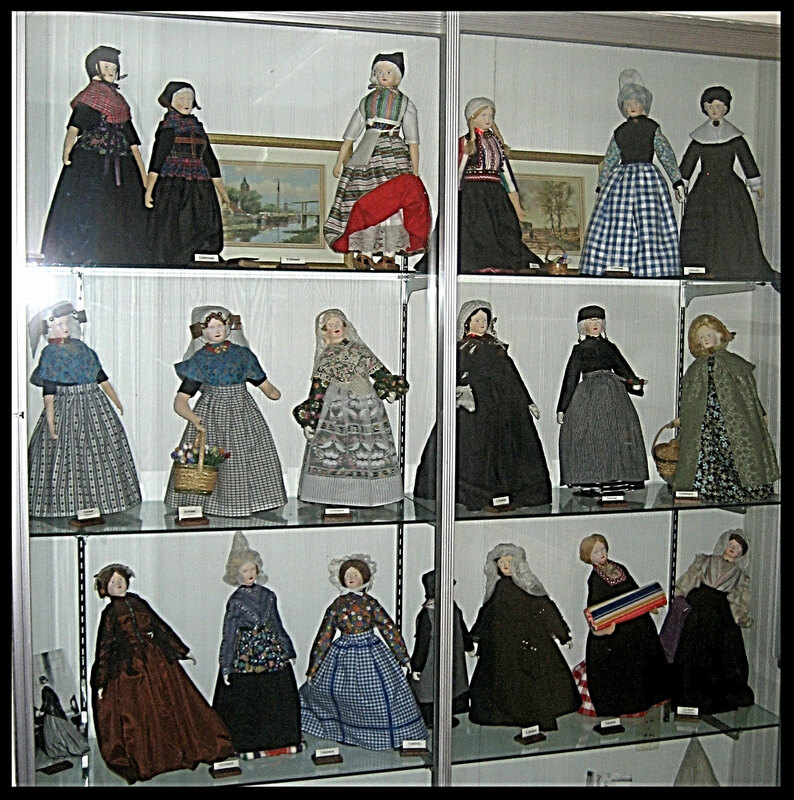 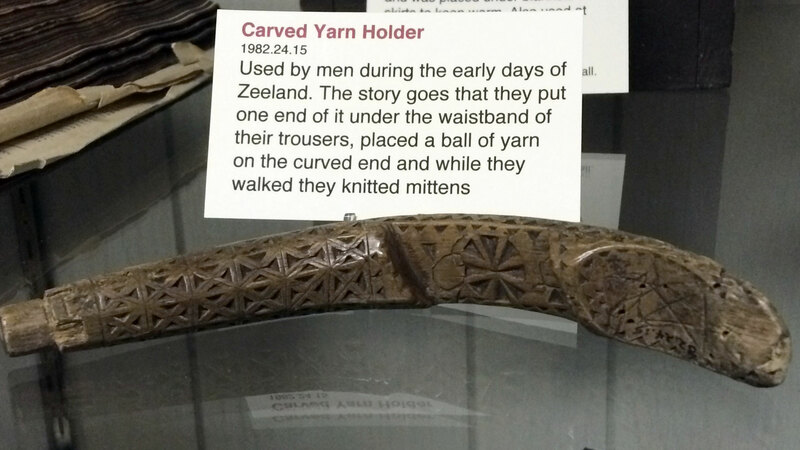 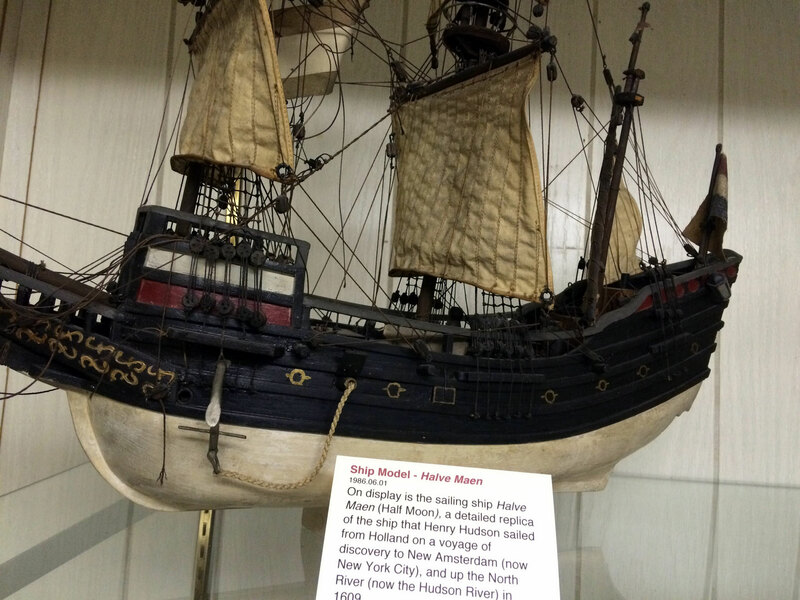 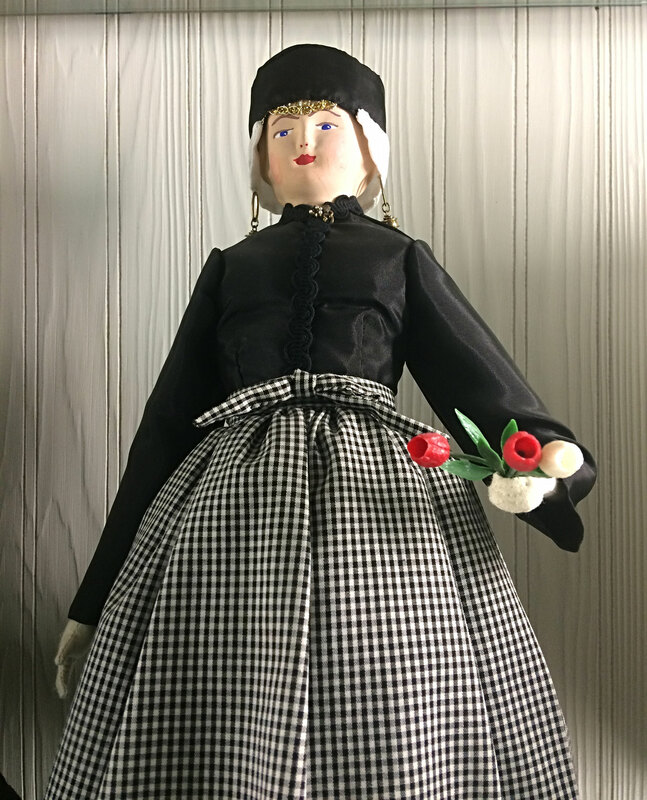 Mrs. Edna De Pree, a dedicated and generous member of the Zeeland Historical Society, gave the museum a marvelous collection of dolls, which she handcrafted and authentically dressed in 19th century costumes representing eleven Dutch provinces. 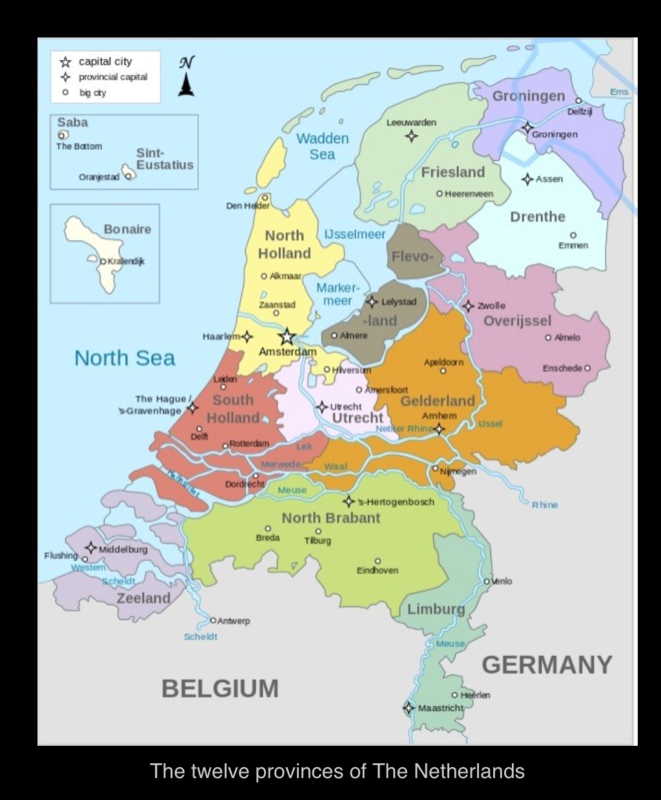 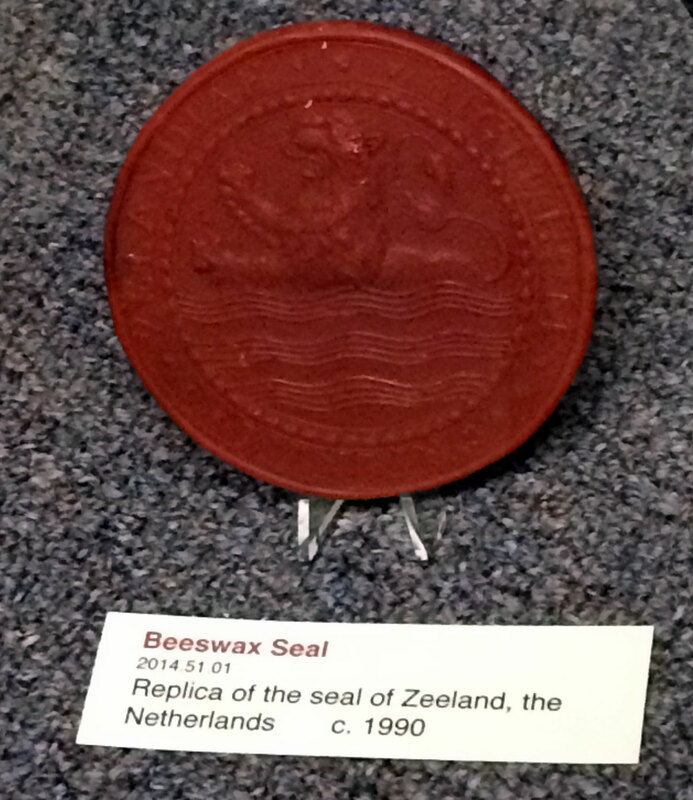 In 1970, she toured The Netherlands, where she researched traditional apparel and fabrics. 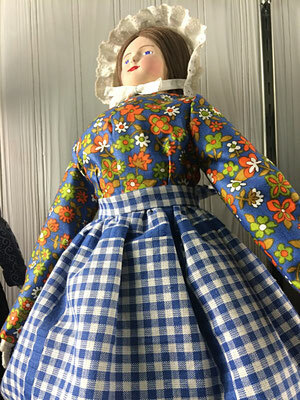 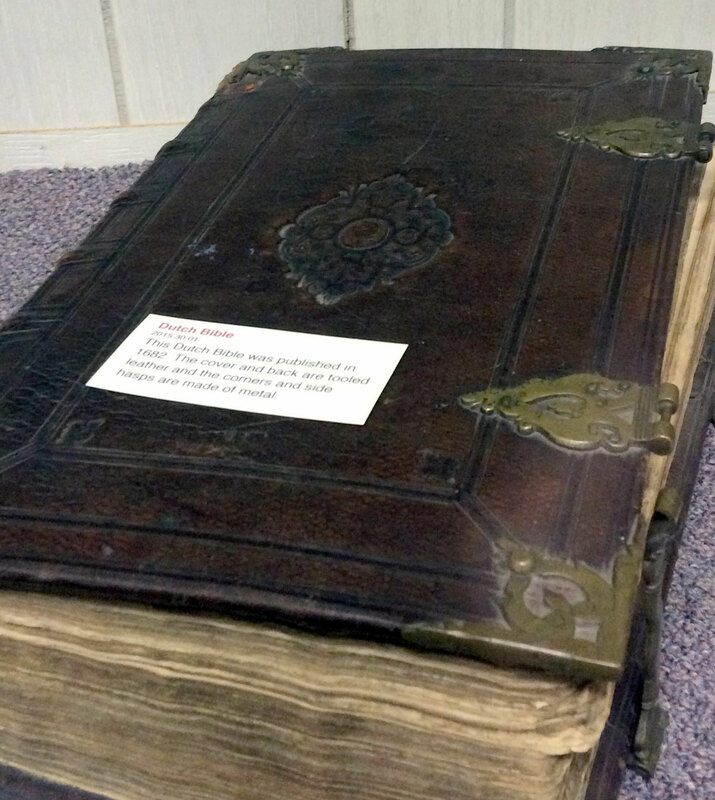 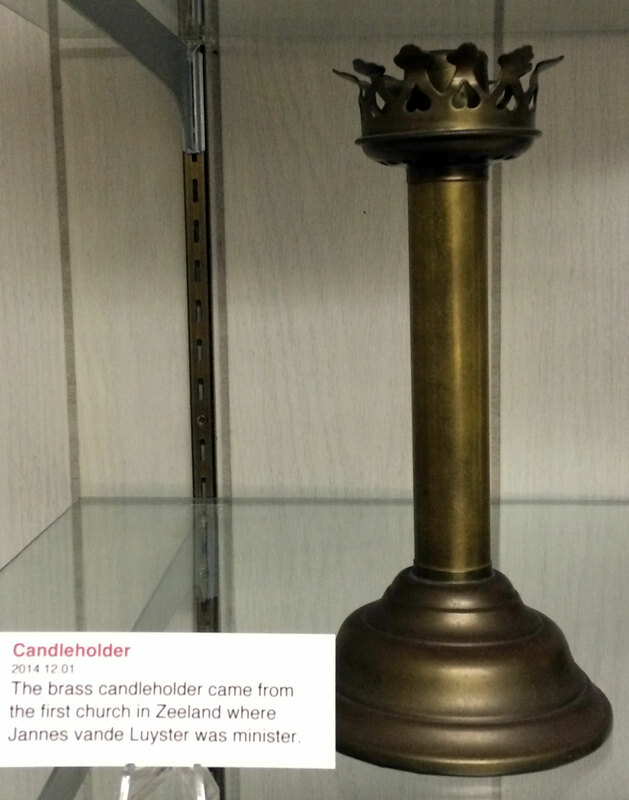 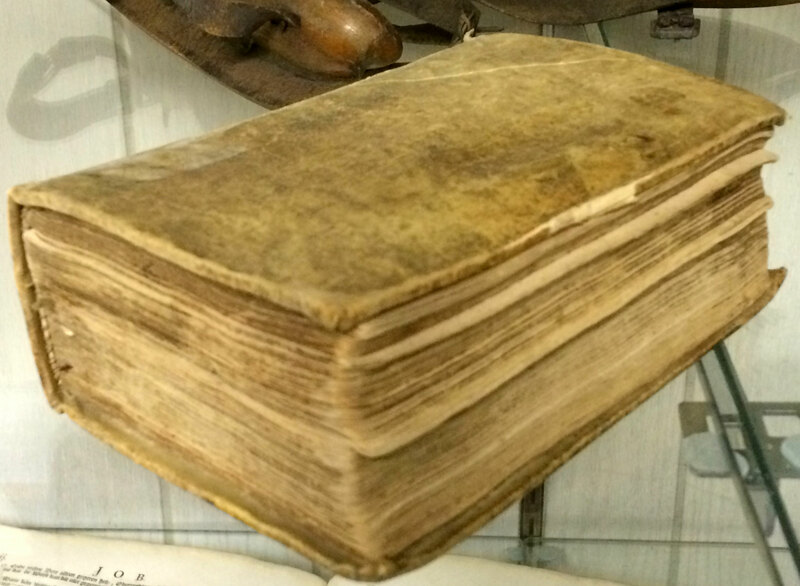 She examined and photographed authentic Dutch costumes in numerous museums. 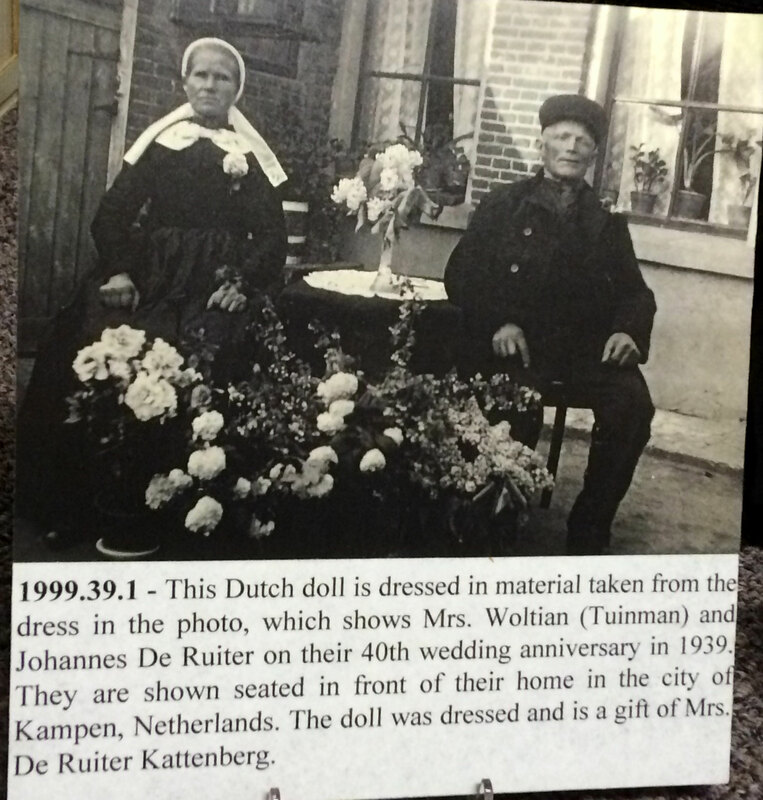 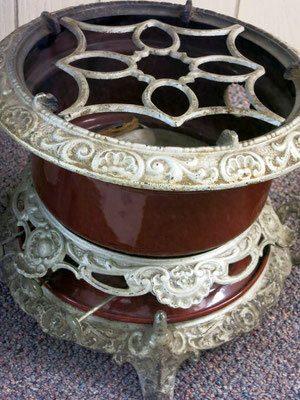 Then she purchased the Dutch fabrics, laces, jewelry, baskets, and miniature tulips she needed for her project. 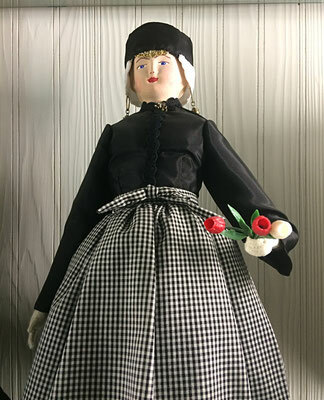 When Mrs. De Pree returned to America, she skillfully constructed nineteen (19) female dolls with hand painted ceramic heads and fabric bodies and limbs. 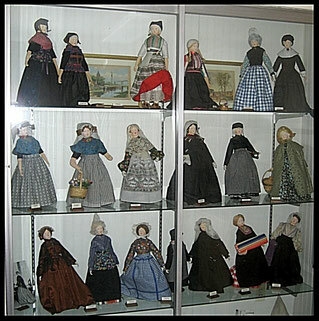 She gave each of the dolls a unique floss wig and hand-stitched black leather shoes. 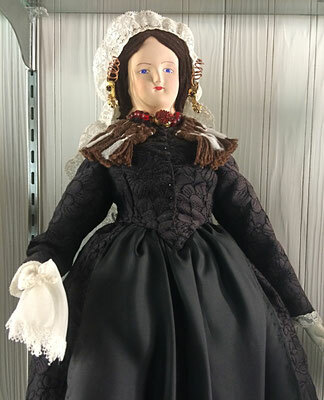 Then she carefully and accurately created lovely provincial costumes with distinctive headpieces for the dolls, who range in size from 16” to 23” tall.